Chocolate has been paired with many a fine wine, scotch, bourbon, and even beer before, but tequila? Not so much. Perhaps because the rich cacao isn’t as obvious a companion for the spirit that has unfairly been associated with frat parties in the past. That hasn’t stopped Gracias Madre barman Jason Eisner—armed with chocolate-making tips from Venice chocolatier and former Cafe Gratitude pastry chef Sarah Engelhart—from creating three chocolate and tequila pairings for his wonderland-of-drinking program. Seriously, there are a variety of fun drink options like adult snow cones and slurpees, build-your-own Old Fashioned, a boba cocktail, and a boozy popsicle on the menu. Indulging in tequila and chocolate was a natural fit. “There’s a lot of notes in aged tequilas that you find in chocolate. Notes like dark stone fruits, nuts,” Eisner says. Most people immediately pick up on the overripe tropical fruit notes of tequila, but he points out that tequila actually does possess a lot of chocolate notes. “So what I wanted to do was come up with some sort of off chocolate pairings that really bring out those notes,” he adds. 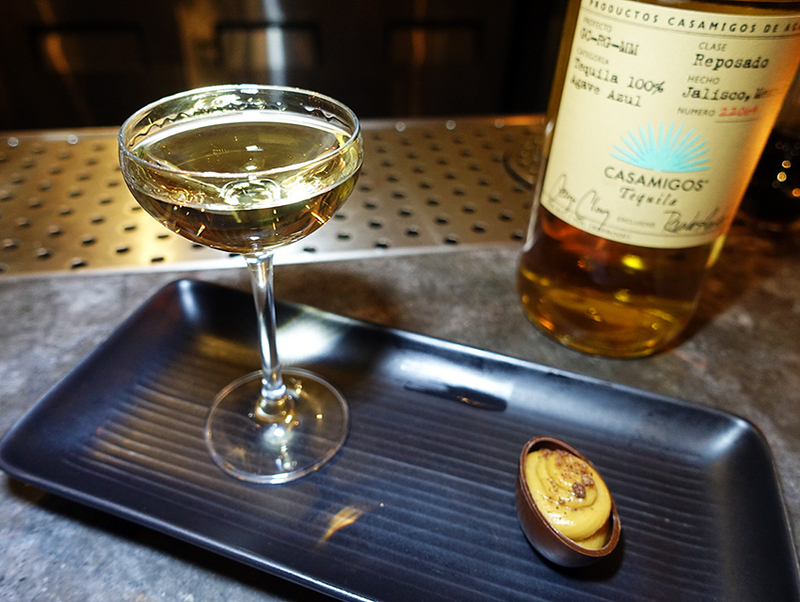 For $25, each serving thoughtfully pairs a quality tequila with a house-made chocolate treat. Take your pick of a blanco, reposado, or anejo tequila. Here’s a look at each pairing. 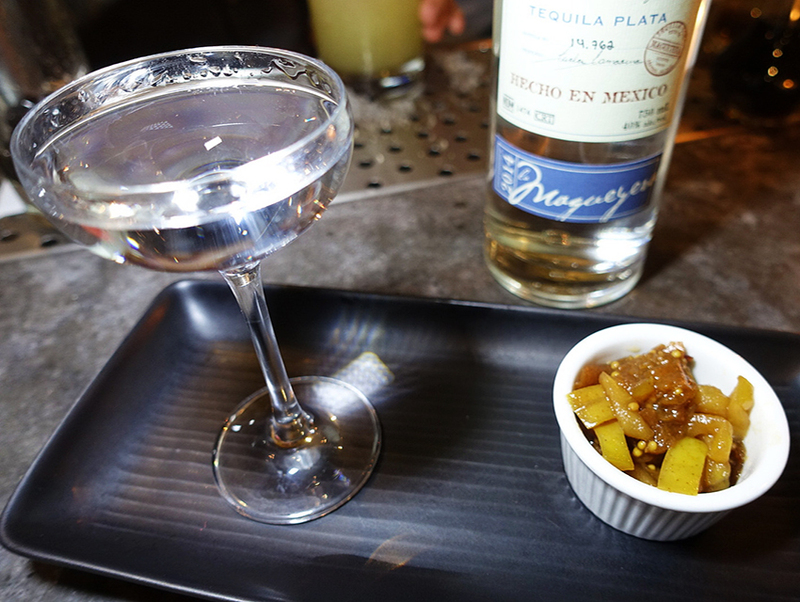 Eisner paired a mostardo di frutta with Tequila Ocho Blanco to let the stone fruit pull out the tequila’s vanilla notes. The Italian poached fruit and mustard reduction is comprised of Granny Smith apples, apricots, and Bing cherries, and then cooked down with Dijon mustard seeds and chocolate shavings. This decadent combination of George Clooney’s Casamigos Reposado and a fancy vegan peanut butter cup is Eisner’s favorite pairing. “We think the reposado pairs really well with the nutty flavor of the mousse,” he says. “It’s a gentle oak and, in that gentle oak, you get nutty expressions. But they’re so soft you don’t get them without something that brings it out.” The house-made chocolate cup here is meant to emulate a traditional gourd cup. To create them, he dips inflated BPA-free balloons in Gracias Madre’s own proprietary cacao blend, pops the balloons, then peels them out, and chills the cups. 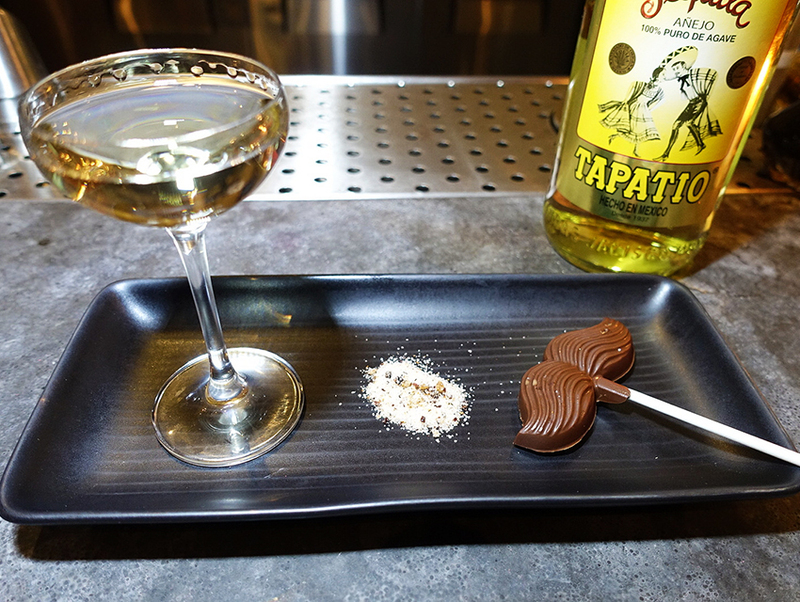 And lastly, the chocolate mustache pop with Tapatio Anejo is meant as a way for the bar to poke fun at itself; you know, that whole mustachioed, hipster bartender stigma. “I want it to be lighthearted and for people to enjoy themselves,” Eisner says. To complement the anejo, he made his own mustache chocolate pop with candied clementine rinds and a bit of smoked mineral salt. So far, Eisner says the chocolate peanut butter cup and chocolate mustache pairings are neck-and-neck for being the most popular while the mostardo is holding its own thanks to the health-conscious diners who frequent the West Hollywood vegan Mexican eatery.